Do you have school spirit? 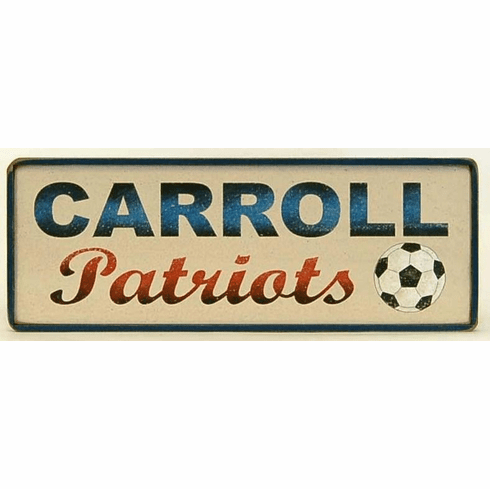 Accent your game room or child's bedroom with one of our school spirit signs. We can put a sport symbol on the board or leave it off if you don't want one. Choose from three different board colors including cream, crackle cream or white. (Shown on Cream Board). The board measures 6" x 16".